As a regional city now firmly on the map as a destination of choice for young couples, empty-nesters, retirees and seniors, Lake Macquarie offers an enviable lifestyle at an affordable price. It is little wonder that the region has embraced the growing trend towards making best use of its generous housing lots through the addition of architecturally designed granny flats. A short 10 minutes from Newcastle and less than two hours away from Sydney, Lake Macquarie is situated perfectly. This area has a mix of regional and city atmosphere’s, which makes it the perfect investment opportunity, especially for those considering a granny flat build. 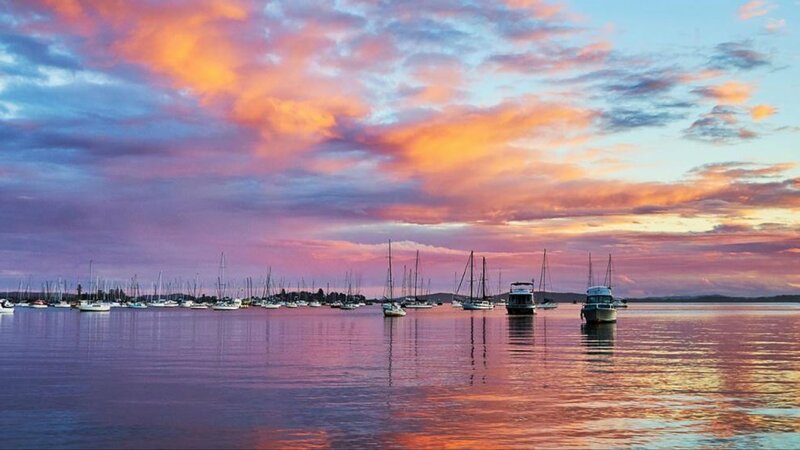 Lake Macquarie is a stunning location, with some beautiful highlights. Between the shopping centres, various bays, beaches and lakes, foreshores and parks, there is an abundance of things to see and do. No matter if you’re a swimmer, surfer, fisherman or explorer, Lake Macquarie is steeped in natural wonder, really encouraging locals to embrace the great outdoors. On top of all that, Lake Macquarie is a city that cares about its residents – it has community spirit of a small town, paired with the resources and drive to improve seen in big cities. With an abundance of city planning projects, covering everything from the future of Lake Macquarie’s suburbs to the city’s parking strategy. In 2016 and 2017 alone, over 10,000 people moved to Lake Macquarie. Today, it holds the title of New South Wales’ third largest regional city. According to Lake Macquarie City Council, “population is expected to grow by 28,000 people by 2036, creating demand for 13,500 new dwellings and 12,000 new jobs”. With the growth that has occurred and is predicted in the coming decade, affordable housing has become a priority. Many people in Lake Macquarie have seen granny flats as one of the solutions to this problem choosing to build them for family members or as investments. With one third of residents currently renting, there’s certainly a benefit to invest in Lake Macquarie. And a profitable one at that – for the last twelve months, the median rent has been $480 a week. Newcastle Designer Granny Flats has also seen the median rent for granny flats at $350 in the Lake Macquarie area. This means your Lake Macquarie granny flat can offer a return on investment of around 15%, providing a consistent income and a healthy nest egg that will appreciate further over time. Plus, most designer granny flats also provide tax depreciation benefits, of anywhere up to $6,000 per year. According to Census data, Lake Macquarie is home to over 70,000 people spanning all ages and backgrounds, all having a different need or use for granny flats. For example, the 19,000+ families residing in Lake Macquarie – 39.2% with children and 41.6% without – might invest in a granny flat as a teenage retreat or living space for their elderly relatives. With the majority of locals holding a full-time job, investment rental properties are a hot topic for those making a little extra and wishing to see their savings put to good use. While others pursue granny flats simply as a means of adding value to a property. In some cases, Lake Macquarie granny flats are used as pool houses, home offices, crafting retreats and even as a space for young adults to live independently while they plan to move away from home and save for a place of their own. Whatever the purpose, a granny flat is a great addition to any Lake Macquarie property. If you’re interested in hearing more about the benefits of building a designer granny flat in Lake Macquarie, don’t hesitate to fill in the form below to talk with our friendly team.